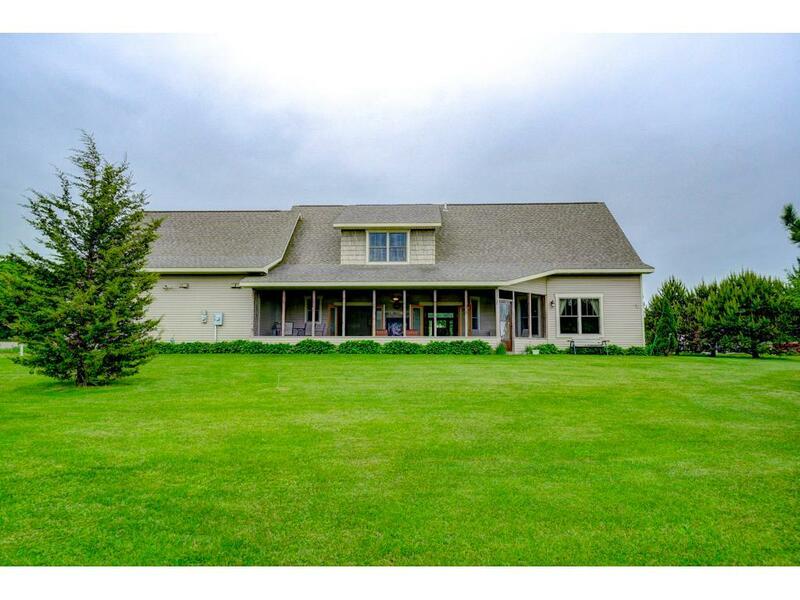 Beautiful home on 38 quiet country acres. 10' ceilings and stained concrete throughout main level. Cherry woodwork, Anderson windows, huge great room with 2 sided fireplace to screened porch overlooking spring fed pond. Private main floor master w/ fireplace and 8" concrete safe room. 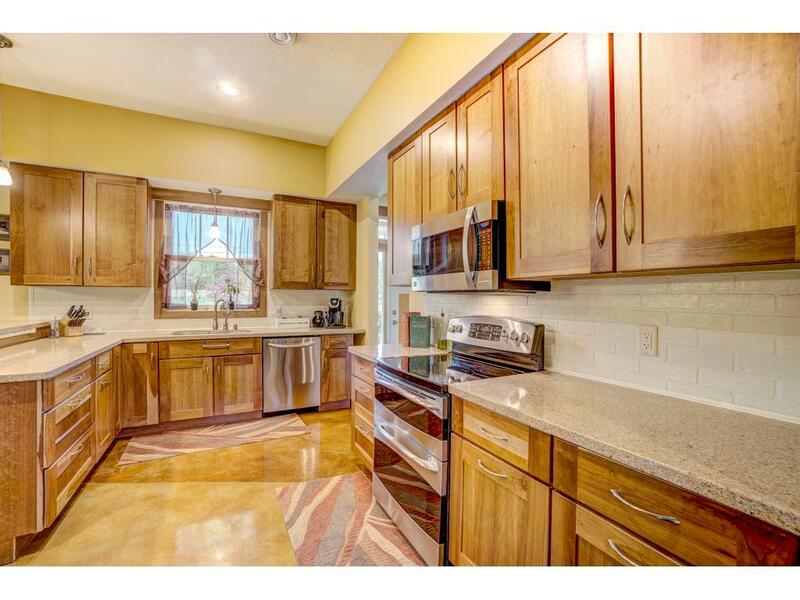 Granite counters and huge walk in pantry. Upper level BR's w/ Jack & Jill bath & huge bonus room. 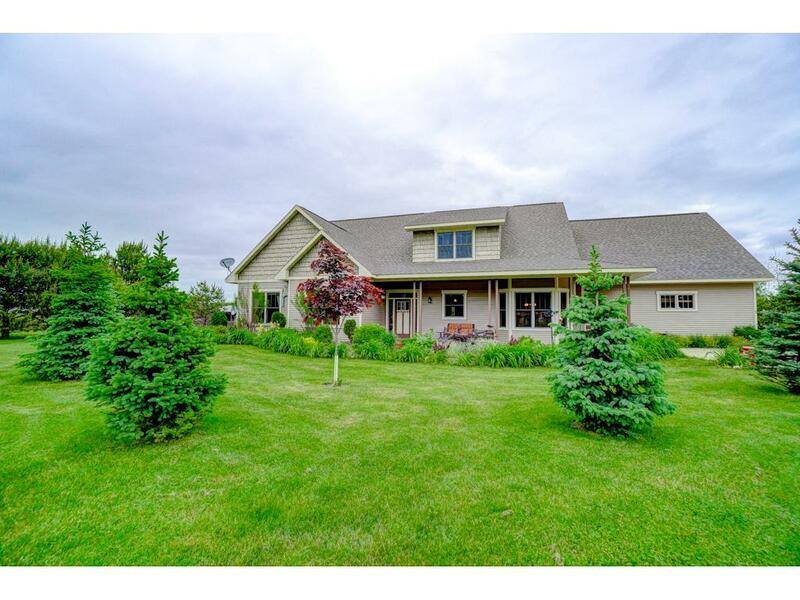 Heated 3 car garage, extensive landscaping & plants. Home has geo-thermal with propane backup.